Come on and Join the Collector Car Industry News that will provide live coverage on our Facebook pages. This event has grown beyond expectations by attendees and cable viewers. They Barrett Team has transitioned this Casino into an exceptionally well run Auction. So Take your car, motor home, plane, helicopter or mass transit. If you can’t come you can snuggle up and watch it on a Computer or TV. There is so much more to see in person that it’s worth the cost to come. To start make sure you keep your adult beverages to a minimum while bidding and walking past those blackjack tables! Always consult a professional, so you make the right choice while bidding. g their Events’, evidenced in its results of the previous Arizona Barrett Jackson Auction last January. We have attended since the late 1990’s and see constant improvements that make the Barrett Jackson Auction a great success. The Barrett Jackson’s historic auction weekend will attract top collector car aficionados and collectors with some of the world’s most valuable collectible and coveted vehicles that are available for them to buy or sell. Barrett Jackson has even brought a Showcase Pavilion of exceptional vehicles. Seasoned collectors can also buy vehicles and memorabilia above that, to add to their collections. 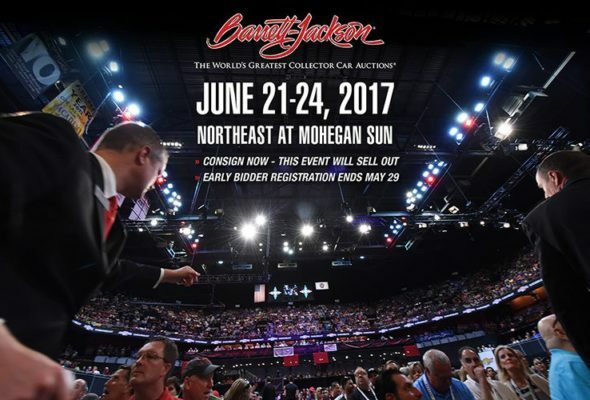 On the lower side, Barrett Jackson’s philosophy is to provide newcomers to the hobby with more attainable affordable vehicles. The plan is much like a SEMA-ARMO plan to bring the Kid To-A-Car-Show. One day that kid might just turn out to be the CEO of Facebook and in Barrett Jackson’s case a best customer. 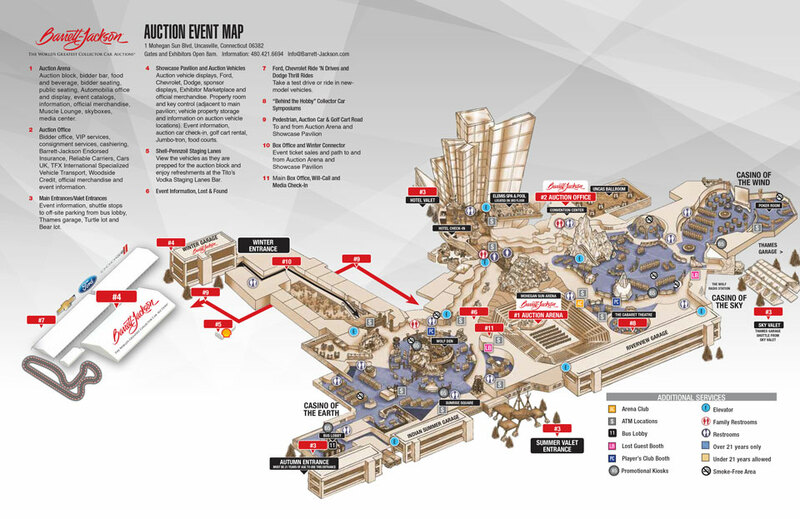 The Mohegan Sun facility will give attendees a feel of the Scottsdale AZ auction. If size matters The Scottsdale auction is billed as the Greatest and we think it is the largest all-inclusive Car Lovers Event “Life Style”.